Charming, updated, tropical cabana-style home offers you a warm, modern, welcoming to the South Florida experience. Private tropical setting with appreciated amenities. Large heated pool, central air/heat, washer/dryer, high speed internet, HDTV, towels, linens and beach chairs provided. Pac n Play, high chair and airbeds included. 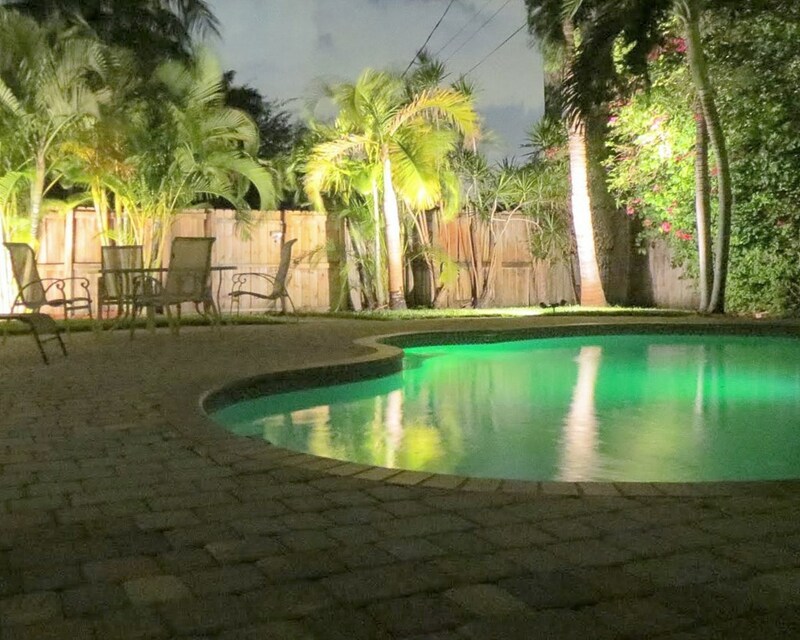 Enclosed yard/pool surrounded by palm trees offers 2 dining areas. Covered patio with Weber grill accommodates grilling/dining in any weather! And a heated pool with evening lighting for 24 hour enjoyment! Inside open breezy floor plan with many windows. Two living areas and a large dining room are all set on original Caribbean tiles. Kitchen fully updated with all new appliances, granite counters, dishwasher, ice maker, blender etc. Jumbo washer/dryer in separate laundry area. Master bedroom has a queen size bed and lovely French Doors open to sunny, south-facing yard and pool, private bathroom, tub and shower. Second bedroom has 2 twin beds and the second bathroom has shower. Historic downtown Hollywood (bistros, music, art, and more) within walking distance. Tennis/basketball courts less than 2 blocks (tennis racquets provided.) 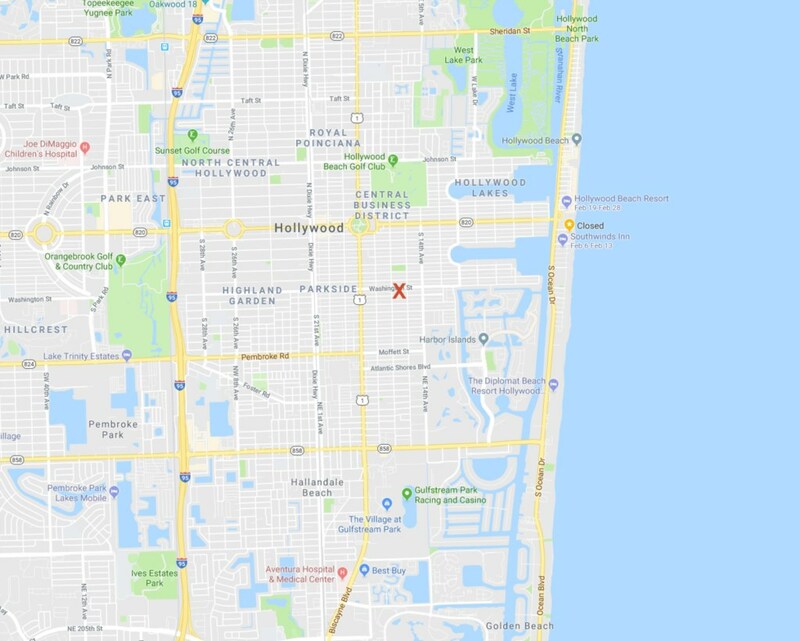 Famous Hollywood Beach 5 min drive. Hard Rock Casino, Gulf Stream, Aventura Mall, South Beach, Keys. Extra parking driveway large enough for your boat. Intercoastal waterway offers public launch -see map. Private, quiet, lush and comfy. Linens, Towels, Beach Towels, Pac n Play, and High Chair provided. Make it your yearly destination! Rent from a Professional Property Manager located in the area for 10 years. We are available 24/7 for any of your needs.